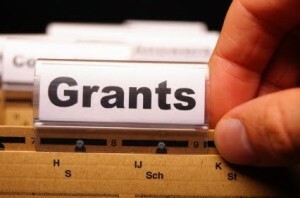 A grant application, sometimes referred to as a grant proposal, is a type of document one writes to receive funding for a project, business idea, or production renovation. The aim of a successful grant application is to prove that your project is better than other projects competing for the same grant. Therefore, the ideas presented need to be clearly and eloquently formulated, in a sophisticated manner and with an appropriate tone. Your grant application also has to have a transparent and well-balanced structure to show you are able to organize your thoughts and properly present them. Sometimes, a grant application has a specific form to follow or fill out. In other cases, the form is unrestricted or rather loose. However, in either case, you have to keep your language official and your style formal. Evaluate the competition in the field. Make sure your proposal is unique. Research the history behind the grant program and the people who created it. Make sure you know exactly why and who initiated the grant program. Try to find out what sort of projects the committee will be looking for. If the program is not specific enough, try to find out what projects have been given grants in the past to ascertain the general policy. Formulate your main objective or goal for the project. Outline the significance of this grant for your project, and of your project for society or a particular group. Present specific beneficiaries of your project’s implementation. Do a thorough analysis of your project’s possible pitfalls, using one of the techniques—SWOT, PEST, SNW, or any other you are comfortable with—that you would employ when creating a business plan. Prepare a brief paragraph about yourself (2-3 sentences will be enough) to present you as a preferred applicant. Even if your grant application is for an organization and not you personally, the committee needs to have an idea of you as the author of this particular grant proposal. Make a checklist of what you need to cover in your grant application letter. Make sure to include the reason why you are applying for this particular grant/program; your specific objectives for the project you are proposing; the amount you will need, or if the grant is set at a specific sum, the explanation of why this particular amount will be sufficient; your previous background and other projects you were involved in, etc. You need to give the committee as much information as possible to portray you in the best way as a potential grant recipient, while keeping it strictly relevant to the business. Make a thorough assessment of your ideas, analyzing how much time, effort, and material resources it will take to realize each of your suggestions, assuming there are a few. But don’t just focus on assessing the input. Also provide a clear demonstration of what particular benefits will be a guaranteed or highly probable result of the work completed. If you represent a certain organization, provide sufficient background information on the description of its mission, values, how it was created, and why. Mention how you became a part of this organization, (in case you haven’t created it yourself), and what its development means for you personally. You have to show that you care about the progress of the organization you represent, and demonstrate your personal dedication to the project. Paint a clear picture of what your organization will be before and after the project implementation. Point out the advantages and disadvantages of both (before and after), and summarize your sketch by establishing what major benefits this particular grant project can lead to and why it is necessary. Make sure you have clear answers to these questions before writing your grant application. Use the SMART technique to formulate your goals and objectives properly. They have to be specific, measurable, achievable, and relevant to the program and time-bound. If your objective and goals meet these criteria, you have a much better chance of getting the grant. Do be short in content and stay within the specified word count limit. You have to show respect for the committee’s time and demonstrate your ability to meet certain restrictions. Do state a clear argument for every suggestion. Each statement has to clearly demonstrate its purpose, as well as show a cause-effect correlation between the pre and post project implementation. Do gather as much information as possible concerning how the funding will be decided and what the committee is looking for in their projects. Do consider the environment in which you will be implementing the project. By showing you are realistic about the fact that changes may be opposed or resisted at first, you will gain a few extra points in the eyes of the program committee. Don’t be afraid to present not just the advantages and strengths, but also some pitfalls and challenges in your idea’s implementation. This will show that you are being realistic and have evaluated the project thoroughly. Don’t be too ambitious in your grant application. You need to set clear and achievable goals (see “Key Points” section). Don’t neglect considering how you will evaluate the results or effectiveness of your project. You have to demonstrate what impact, influence, and short-term results your project is expected to achieve. A committee is interested in monitoring how useful the grant will be for society or a particular target group. Suggesting an idea that has no innovative component. Remember, a committee will only finance a project that is new or comparatively unique. If you didn’t spend a decent amount of time researching through projects that have already been suggested before, then you will likely fall into this trap. Simply throwing around ideas and not focusing on one major objective. You need to evaluate and filter your ideas, focusing on the one that seems the most realistic, achievable, and relevant to the grant program for which you are applying for and topical in the current environment. Failing to structure your grant application properly and organize your proposal in an appropriate manner. If there is no particular form that this grant program requires being adhered to, come up with a conceptual outline of your own. Start with a general introduction, in a sentence or two, outlining what your project is about and what your target group is. Then state your main objective and move onto specific goals that will help you achieve it. Finally, present a clear analysis of factors to consider when implementing your project, both possible catalysts for, and obstacles to, your project. Now that you have acquainted yourself with the basic grant application writing tips and rules, you can check out our grant application samples to link theory with practice.